Fantails are a collection of book-banded books. They have carefully controlled levels according to a students reading age. 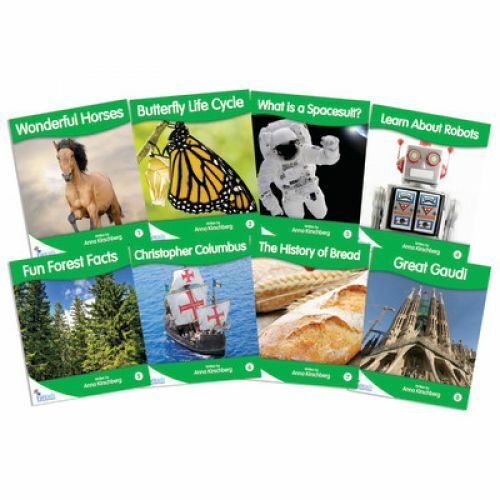 Each collection of books is set at foundation, emergent, early or fluency levels and can be used alongside other popular reading schemes. Children at Green band level will be reading more fluently and paying more attention to varied punctuation. Children's comprehension skills at this level will also be increasing and able to handle more complex plots. Includes 8 books at each band, 16 pages. Both fiction and non-fiction strands are available.